This is an album that is full of slide-guitar continuing the tradition from the slide Queen herself Finnish Erja Lyytinen as she puts her own style a sassy approach to some true blues classics. The majority of those on this album can be linked back to Elmore James this is an album that has distilled a Musical perfume bottle, full of magic, passion, dexterous slide guitar and that mix of tones and tempos creating the essence of Elmore James. Within a mix of covers we have two Lyytinen tracks, Erja’s Contribution To Jazz a remixing/working of Elmore’s Contribution To Jazz track full of swish and swirls with a jazzed up tempo that is blues to the core. The other is King Of The Slide Guitar, a track full of warm dobro deftness as she mixes and twirls together an underlying pop inspired melody line and lyrics into this pepper pot of a track full of spicy brashness you have elements of Caribbean, African inspired music but above all once again the slide stands out. Erja has added to the album her Finnish spirit tones and accent and yes there are the expected covers then there are gems like Sho Nuff I Do & Hand In Hand adding something different with these rarely covered tracks. Sho Nuff, with the shuffle on the drums and her vocals with that accent that is authentically hers really works and allows her to truly express the emotion she feels and the piano just adds that hidden extra. Hand In Hand is the penultimate track and has an upbeat driving rhythm, thanks to Roger and his ever-present understated supporting bass line that comes to the fore here, accentuating the howl of the guitar in every lead break. Ending with a crowd pleasing favourite live version Dust My Broom, an expected inclusion whenever Erja performs live may be nearly 10 minutes but is not a second too long with a lead break from Davide that is glorious that once again emphasises the perfect storm that Erja cooks up whenever she adds the slide to her finger this is tempestuous guitar playing that takes you to your own bit of blues paradise. There is no doubt Erja and her band have successfully created a true homage to Elmore James, with her renditions close to the originals. 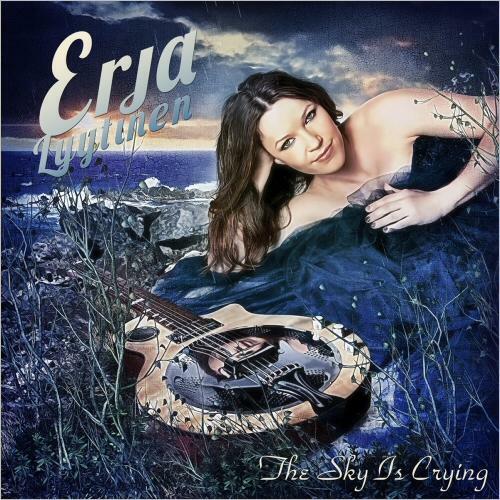 This has been achieved by her slide guitar work it cries with the memory of Elmore and she gets that smoky, funky feel just right and Erja plays with Elmore’s fire in her belly. The Sky Is Crying creates a sound perfect for now with its vitality and freshness, a great introduction to the blues that have gone before and stretches back to Robert Johnson and beyond. Bluesdoodles gives this CD EIGHT doodle paws out of TEN ….